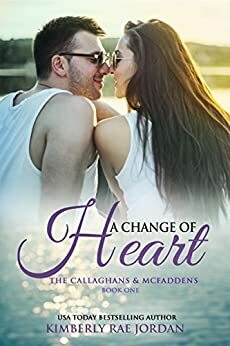 A Change of Heart: A Christian Romance (The Callaghans & McFaddens Book 1) - Kindle edition by Kimberly Rae Jordan. Religion & Spirituality Kindle eBooks @ Amazon.com. Come meet the blended family of the Callaghans & McFaddens as they find love while growing in their faith and understanding of each other. I just want things to stay the same. Bringing new people into our family company will change the dynamic that has worked perfectly fine so far. Makayla McFadden has been part of her family’s business since it started. At sixteen, she’d helped her dad by answering phones and doing the filing when she wasn’t in school, and now she’s the office manager for C&M Builders. As the company has grown, they’ve had to hire new people, but the core of the company has always stayed the same. When her father announces his plan to retire, Makayla knows change is coming. Hiring from outside the family will disrupt the way they’ve run their business, and she’s not happy about it. I’ve looked out for my little sister since she was born, and that’s not going to change even though my dad is moving to another city. I just need to find a job so I can continue to help care for her as best I can. She’s my world. Upon learning that his father and step-mother plan to move to a new city with his younger sister, Ethan Collins knows he needs to move there as well. The day he gets a call from his first choice for a job, he figures God has answered his prayers. However, when he meets Makayla McFadden, he realizes that she doesn’t want him there. After they offer him the job on a three-month probationary basis, Ethan knows he not only has to convince them he can do the job, he has to somehow convince Makayla that he’s a good fit for her family’s company. When he finds himself falling for Makayla, Ethan tries to fight it since he refuses to do anything that might jeopardize his job and his sister’s future. But when the heart can’t be denied, will Ethan take the risk for love? Or will Makayla be reluctant to embrace change on a personal level which could leave him without love or a job? This Christian romance novel of 80,000 words is the first book in The Callaghans & McFaddens series from author Kimberly Rae Jordan. A HANDFUL OF FLOWERS (ASIN: B01APAIXM6) is the prequel to this series. If you enjoy heartwarming Christian romance with a focus on love, faith, and family, be sure to check out these other books and series by Kimberly Rae Jordan. 5.0 out of 5 starsWonderful introduction to a new family to love! And so the series begins. I have read all of Kimberly Rae Jordan's books and this one does not disappoint. We first meet the family in the prequel "A Handful of Flowers." Makayla is the daughter of Emily McFadden and the step-daughter of Steve Callahan. Makayla is one of two girls on the McFadden side of the family and has always been "the difficult one." 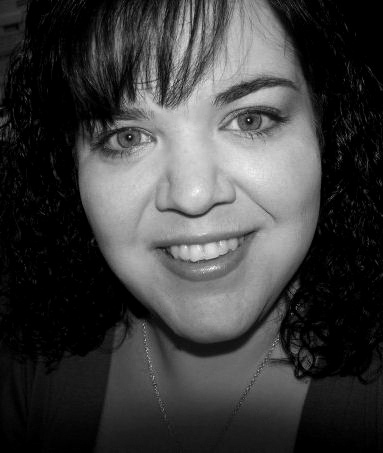 Makayla hates change and is determined to stop her dad from introducing Ethan to the family business and the family. Makayla struggles with feelings of self doubt and self worth and doesn't really understand her difficulties with change. Ethan is desperate to find a move that will keep him close to his 14 year old sister and needs to find a job close to her. Ethan's dad and stepmom have a tendency to just leave his sister Sierra on her own for days and weeks at a time. Makayla watches the way Ethan steps up to love and protect her and begins to experience strong feelings for Ethan. Are they strong enought to overcome her dislike of change? Can Ethan accept her as she is and love her or will she face rejection? Can she accept that if she does get involved with Ethan Sierra will likely be a huge part of his life? This book is about two people overcoming their pasts and walking towards their futures. I can't wait for the next book! This is as much about positive family values as it is about romance. Ethan's top priority in life was taking care of his younger sister Sierra. His father had remarried and had custody of Sierra. Ethan was an adult with a full time job. He was concerned that his father's care of Sierra was more about controlling than real concern. When they moved to a different city, Ethan followed and sought employment in the new city in order to keep tabs on his sister who was often left alone to fend for herself while the dad and new wife amused themselves without much thought to her well being. Ethan not only found employment in his move, but also a family. He found love and support and when Sierra showed up at his workplace, she was also welcomed as a part of the "work family"
I thoroughly enjoyed this and can recommend it to my friends who appreciate a well written Christian Romance with a slightly new twist. I love this author!!!! She does have a love for the Lord, and it shows in her books. That was the "only" thing that was good about this book. It was really was the hero and his little sister,with his heroine on the side line. I kept looking to see if this was really her (the author). You really cannot read this as a stand alone book, at least l will read the next book in the series. A great story. I have enjoyed each of this author's stories. Although I read a few of the other stories in this set, reading this book helped to explain & enjoy the other stories more. This is a great example of how blended families should work. One ex created a bit of drama, but logic & clear thinking saved the families. This is a story of two parents working together & seeking the best for all of their children. The closing scene is beautiful. This was an entertaining, clean Romance. I enjoyed the setting being in Canada, places where I have been. I get more enjoyment from stories that employ biblical references to guide the characters decisions. This may be from their private devotions or recounting their experiences in church groups. 3.0 out of 5 starsAnother good addition to the series. These are good series. They seem to intertwine so effortlessly. The characters have depth. And this one was definitely more real people. It’s a story that revolves around a big and loving family and also a strong and close relationship between different sets of siblings. On the other side is an unexplained rift between two brothers and another unexplained reason tor why a father is horrible to his son. The psychological and emotional struggles of the main characters seems to be too dramatic to me and I can’t relate to it. But as a whole, it’s a good book. The character development in this story was very well done. I felt like I knew the characters and decided I want to be their friend too! The plot was interesting and overall the book was very enjoyable. I recommend it!